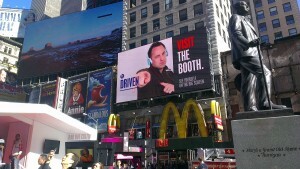 I’m in New York this week, and on Monday I spoke at the Pivot conference held at the Crowne Plaza Hotel in Times Square. 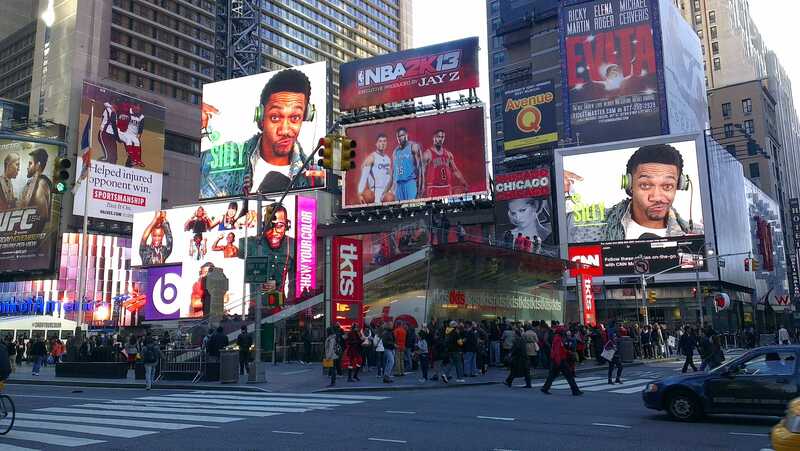 Walking past the hotel on Tuesday, I saw a very interesting experiential ad campaign – the Dr Dre people would take your photo in a booth right in the middle of Times Square, then your photo would appear on pretty much any video screen nearby – see below for photos and a video. 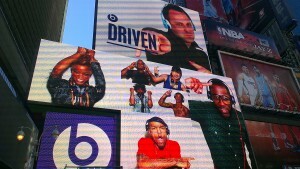 Hats off again to the Dr Dre beats headphones marketing team. 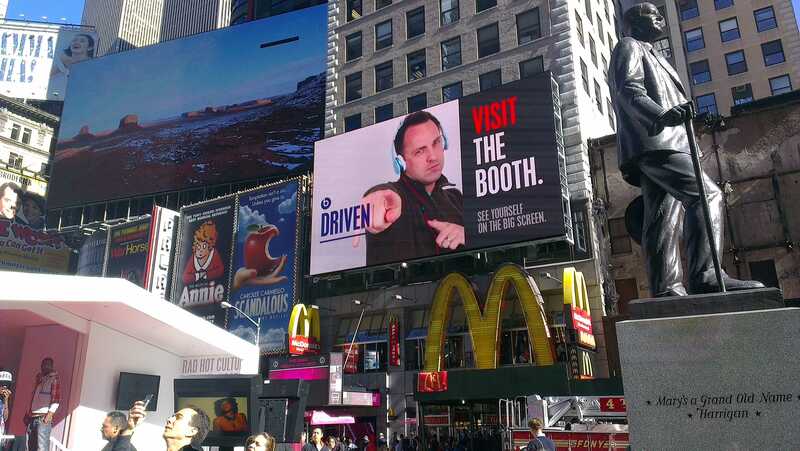 Following on from the Olympics coup where they gave headphones to athletes (and got away with it even though they were not a sponsor), now they are appealing to the “look at me on the screen in Times Square” part of us. Who would not want to be shown up large on HUGE billboards in times square, looking cool and wearing cool headphones? 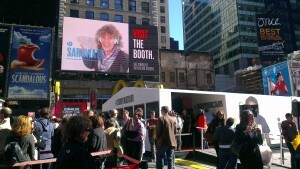 Footnote: no social call to action on the screens – although they did have the #showyourcolor hashtag on the booth.